Hello and welcome to another day of the Papertrey Ink February Countdown! Did you know there is a contest happening today?! 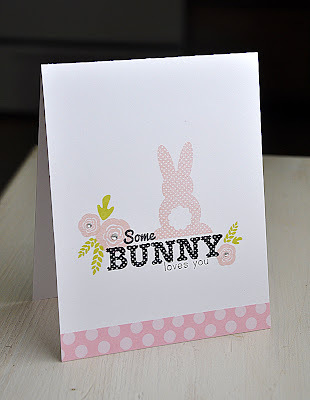 A fun Bunny Hunt! Be sure to visit Nichole Heady's blog for all the details. Today is the first Design Team group post and the challenge this time around is to create some fresh, spring-themed projects, perfect for getting everyone out of the winter doldrums! Focusing on the use of Polka Dot Parade #1 and Mini Blooms. I think this will do the trick of loosing those winter doldrums?! This gorgeous spring like color combo was inspired by this. Emerald, melon and light pink... are sure to kick out the winter blues. 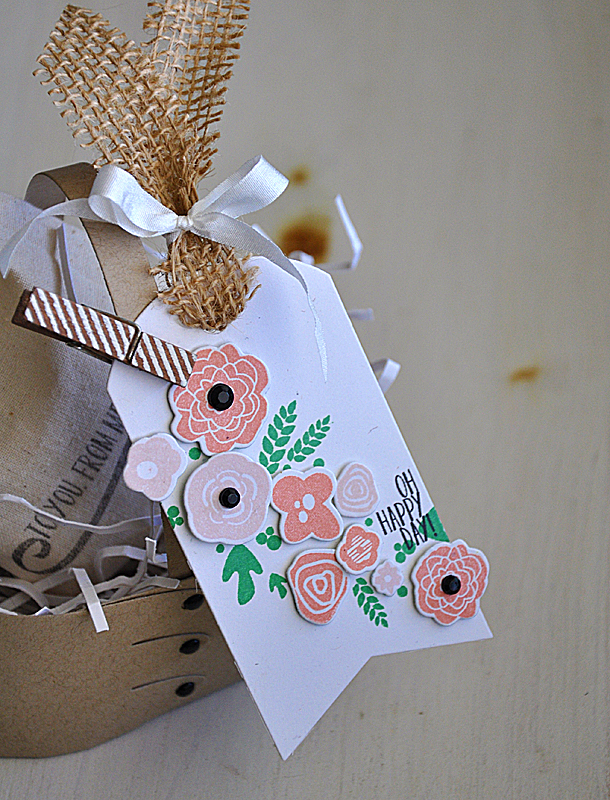 This tag features one of the two large pre-established arrangement stamps from Mini Blooms. Here's How: First, I stamped the arrangement in Hero Arts green ink. Second, I die cut the individual flowers and stamped them with the coordinating single flower images (in melon berry and sweet blush) and then attached with dimensional adhesive. These two steps allowed me to add color as well as dimension. Third, topped the tag off with some burlap tied with silk ribbon and finished with a few black rhinestones. Fourth, clipped the tag into place on this adorable handmade basket (created using the Favor It #9 dies, see Nichole's blog for more info). 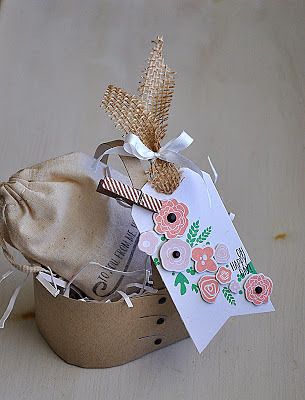 Inside the basket you will find this sweet gift bag (more info on the burlap from above and this bag here). 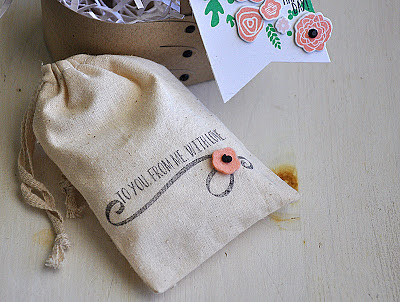 I stamped it with a ribbon image and sentiment (both from the Mini Blooms stamp set) and finished it off with a tiny melon berry die cut felt flower (cut using the coordinating Mini Blooms dies) stitched into place with a french knot. Up next, Polka Dot Parade #1. 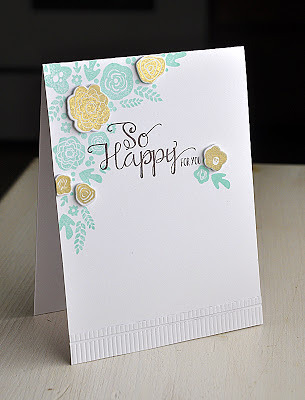 For this simple one layer card I used both PDP #1 and Mini Blooms. I really wanted to let this fun sentiment be the star of the show. So I stamped it in black to give it a bold look. Here's A Tip: To help focus your attention onto the bold sentiment, I surrounded it with images in a light color, sweet blush. The bunny is from PDP #1 and the flowers and leaves are individual pieces from Mini Blooms, used to create groupings of my own design. I've got one final Mini Blooms project to share with you before I go. Just A Note: As I mentioned above, I've already shown you one of the two large pre-established arrangement stamps. This time my focus is on the other, it's perfect for precisely placing into corners! 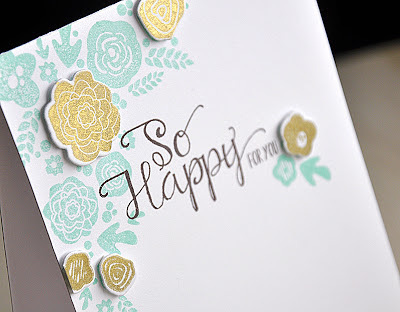 I stamped it in aqua mist onto a white card base, stamped the sentiment (also included in the same set) and finished the card off with a few die cut and stamped golden flowers. 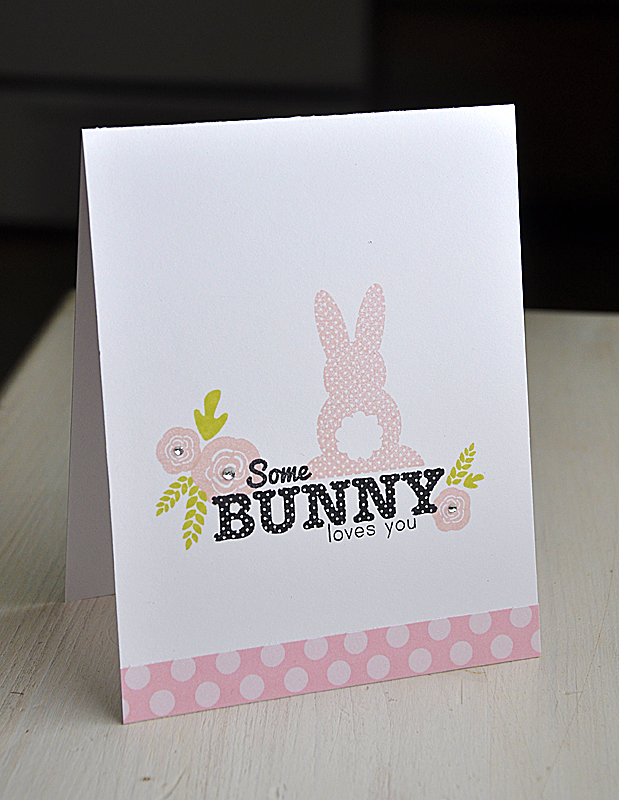 Love your 'Some Bunny Loves You' card! And so happy for the mini blooms, very excited here, love that the set has coordinating dies, perfect for making my own card embellishments! Gorgeous love your new set gorgeous script too! Maile, I knew your Mini Blooms set would be one of my favorites! I love all the various blooms and the font is just fresh and gorgeous!! As always, your cards are out of this world!!! So much gorgeous work! 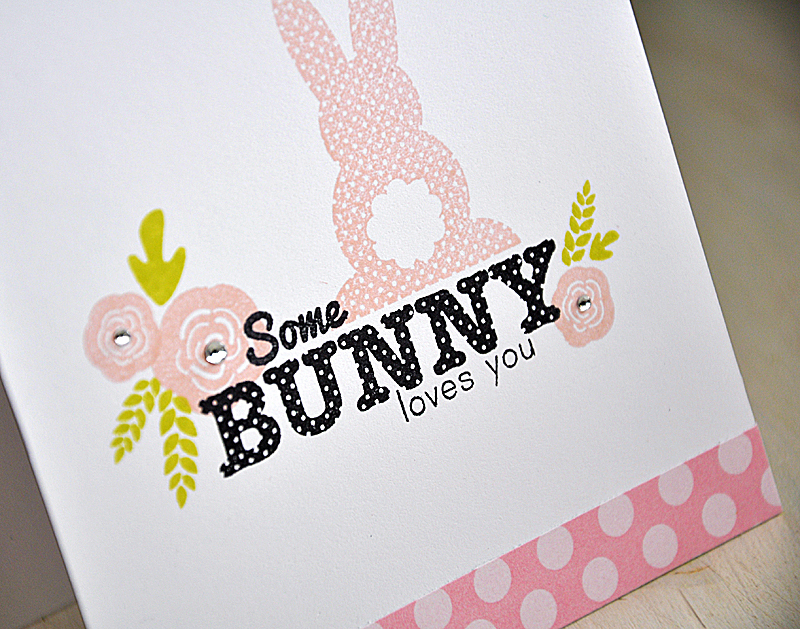 I absolutely adore the "Some Bunny Loves You" card. FANTASTIC projects, Maile! Love the stamping on the drawstring bag and how it fits into the basket!!! Maile, I am in love with all your new sets this month and can't wait to play with them! Really looking forward to getting these Mini Blooms stamps and dies. Can't wait...I feel my fingers itching. They're so completely versatile as you and the DT has proven. MINI BLOOMS stamp set and DIES are at the top of my list!! WELL DONE...who can resist a mini? Your products this month are killing me...or my bank account rather. I see myself picking up everything you designed this month. 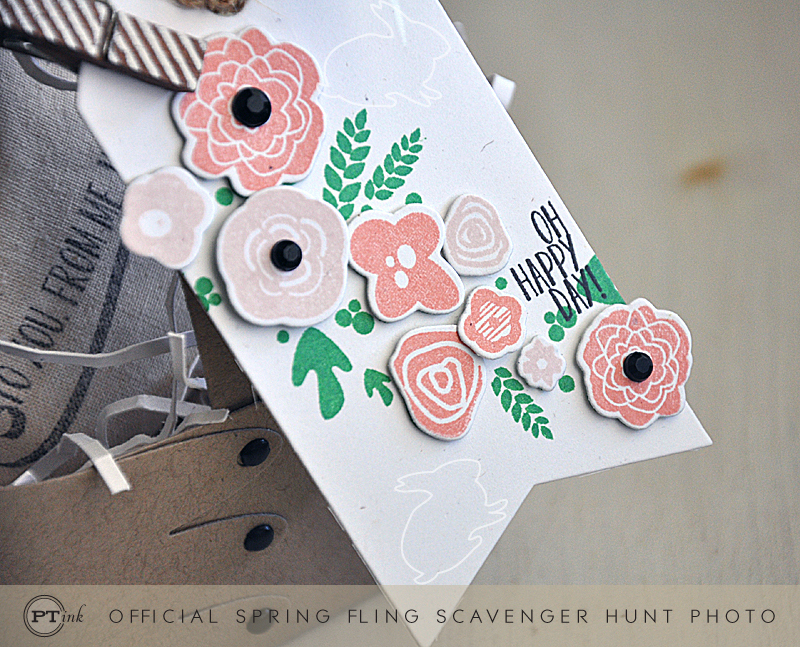 The Mini Bloom stamp set and dies look outrageously useful for nearly everything (like the rest of this month's offerings). Your projects as usual are superb! Thanks for the wonderful designs, will spend many happy crafting hours with them!!! This new mini bloom set is AMAZING! I love your samples. I also need your watercolor one as well! !